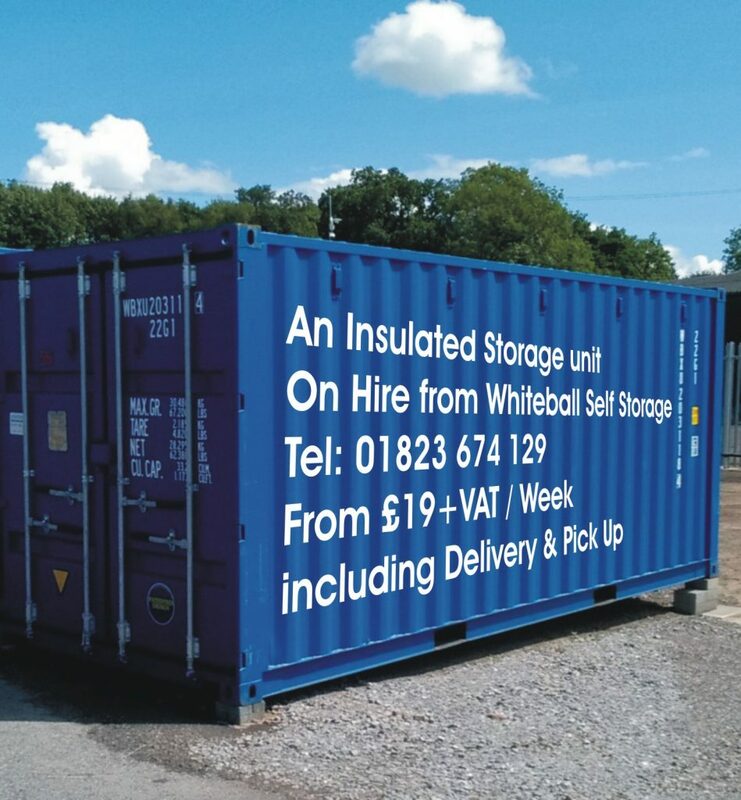 Whiteball Self Storage are pleased to offer a BRAND NEW on site container Storage Service. Would you like the convenience of one of our insulated 20 x 8 storage containers at your own home while you renovate or extend? Onsite container storage can be a benefit when commencing a home renovation project where you prefer to have your goods close to hand rather than at a self storage facility. An insulated 20 x 8 unit costs just £19 + VAT per week for a minimum 6 month term. We deliver an insulated container directly to your address. This storage service is different to our traditional Self Storage. If this type of on site container storage is not what you are looking for, information on our self storage facility just outside of Wellington Somerset can be found here. -Stoor2Door- Insulated Container Storage delivered to your door. *Terms and conditions please phone for details.